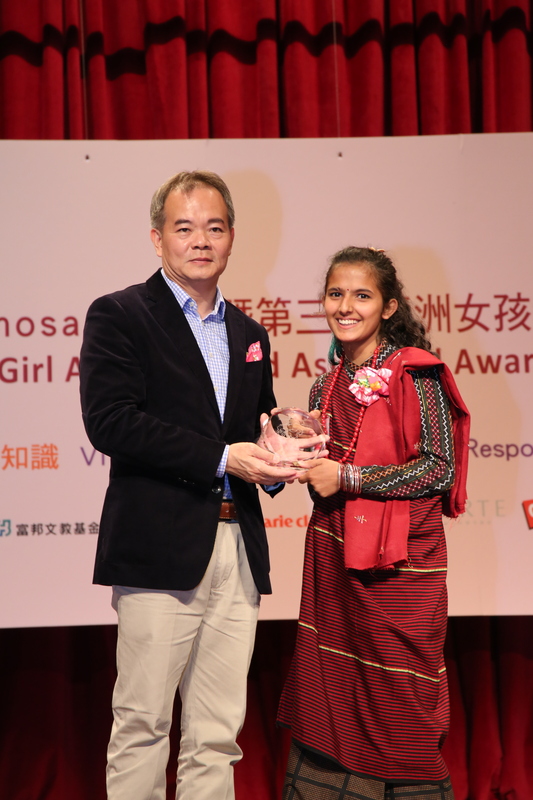 Two girls working separately to stop child marriage in their communities in Nepal and India picked up awards at the 3rd Asian Girl Awards in Taipei on October 11, 2015. Bipana Sharma from Jagriti Child and Youth Concern Nepal won the Human Rights prize for her efforts to stop sexual abuse, child marriage and child labor in Nepal. The other award in Community Development went to Chanda Jat who has helped over 20 girls in rural India go back to school through volunteering with the Vikalp Sansthan organization. Also recognize for her efforts to empower Bangladeshi girls was karate trainer Shopna Sathi from Nari Uddug Kendra (NUK). Bipana, who is from the Sunwol Municipality of Nawalparasi in Nepal, is currently the chair her district child coordination committee. Through Jagriti Nepal she has been leading various awareness campaigns, rallies and street drama to raise awareness about girls’ rights. The 16-year-old even helped a disabled girl enroll in school. Already a multiple award-winner, Bipana says she will continue to fight for the rights of girls in Nepal and the rest of Asia. One day she hopes to be the president of her country. Things might have been very different for Chanda, who was pulled out of school, stopped from playing sports, and almost married off at the age of 14. Thankfully she was spotted and helped by the Vikalp organization, and now Chanda fights for girls’ rights to education, campaigns against early marriage, teaches girls how to ride a motorbike, and has helped set up volleyball teams in many local villages. Now 18, her dream is to become a volleyball teacher. Shopna Sathi is already a karate trainer for NUK, as well as an accomplished boxer, life-skills trainer, and football coach. Shopna helps give girls in rural areas of Bangladesh access to bicycles, the right to play sports, and teaches them self-defense skills. 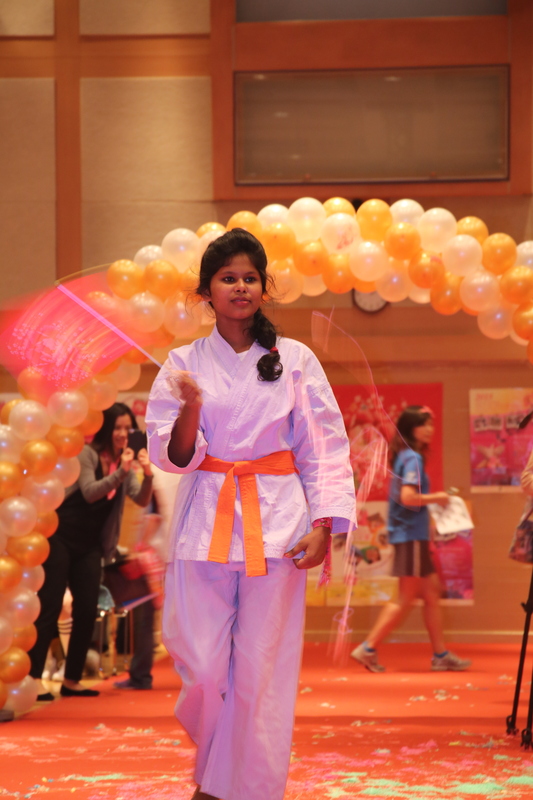 The orange-belt’s goal is encourage other girls to learn karate to protect themselves. The 3rd Asian Girl Awards were given out together with the 13th Formosan Daughter Awards at a ceremony at the MOTC GIS Conference Center in Taipei. The annual event hosted by the Garden of Hope Foundation recognizes outstanding girls from Taiwan and Asia in areas where they are usually not encouraged to excel, such as sports, creativity, science, adventure, community development and human rights.